We Are Proud To Be Launching Our KP Lookbook! We wanted to capture the true essence of the home. That feeling of pride and joy that the homeowners feel when they look at their house. Their home is an extension of their personality and style, not just a shelter from the elements. Showing these projects in their real-life settings conveys that feeling. Our customers also have that same pride when their projects are completed and they look great. So why not showcase them! We wanted to share with our audience some of our distinct siding projects. 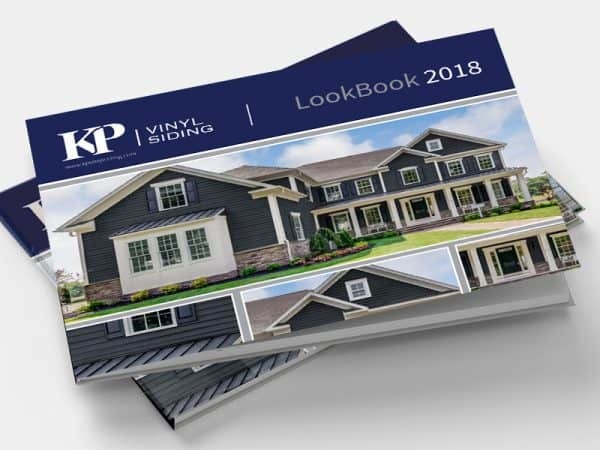 We are hoping to inspire some of you who may have never thought of using certain siding colors or mixing different exterior finishes together. It was important for us to link it up to our sites in order for our audience to be able to gather more information on our siding products. We are firm believers that knowledge is power and want to arm our visitors with all the resources they need to make their decisions. Pouring over all our images and only selecting a few was challenging but we love the final cut. One of the best features of a digital lookbook is that we can easily update it. We can make it seasonal or base it on a specific house style. We plan on updating ours regularly, featuring different siding colors and projects. Sit back and take a look, we hope you love as much as we do.